Refers to an ability for fine-control of the tipping and edging, to engage the edges more or less and create the desired turn shape, whether carving or not. The relationship between how much the edges are engaged and how the skis turn is a complicated one. Fore-aft is another variable into this mix, but generally, the less engaged an edge is, the more skidding there is and the more the skis turn across the hill. Generally, feathering the edges is important at the top of the turn, to create that moment of positive engagement at the right time. It is harder to engage and disengage the edges repeatedly throughout the turn, especially as the forces build and a disengaged edge may lead to a fall. 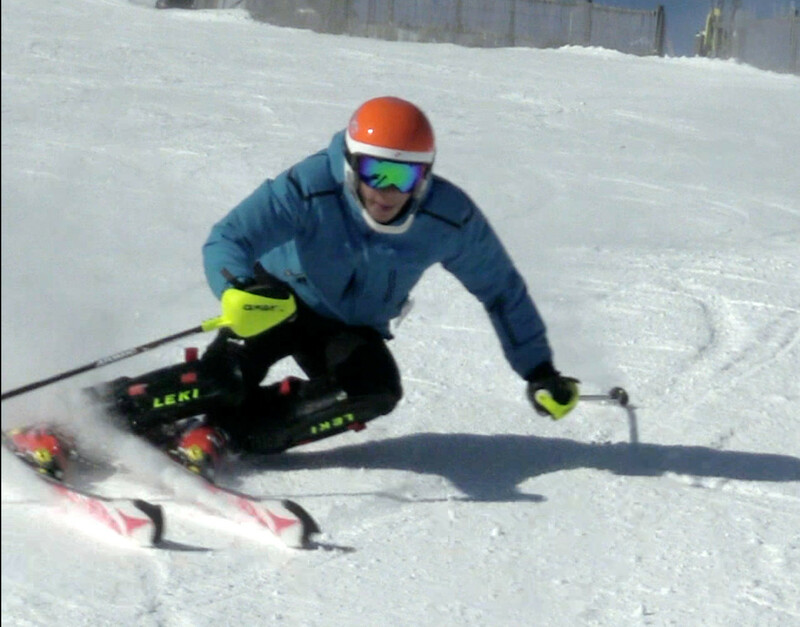 This skill falls under the general category of tactics and are trained differently than technique, read Soft skills versus hard skills and becoming a better skier. These skills are much more important in racing, where the gates dictate the line we must take and less important in free skiing, where we are free to turn wherever we like. Viewed 208 times ( | Print ) this page.